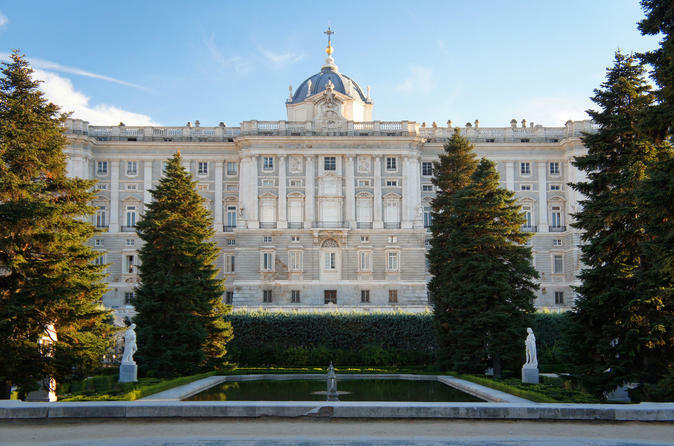 Skip the lines and get inside one of the most memorable Royal Castles of Europe, the “Royal Palace of Madrid”, with this private tour from the hand of our professional guide. The Royal Palace of Madrid used to be the official residence of the Spanish Royal Family. Nowadays, the palace is also used exclusively for receptions, ceremonies and official events. The Royal Palace is also called Palacio de Oriente, due to its proximity to the “Plaza de Oriente” square, which is on the east (Oriental) side of the palace. Our visit also includes a tour around the official lounges, grandiose, well preserved and stylish, each room has its own personality and the armery square.